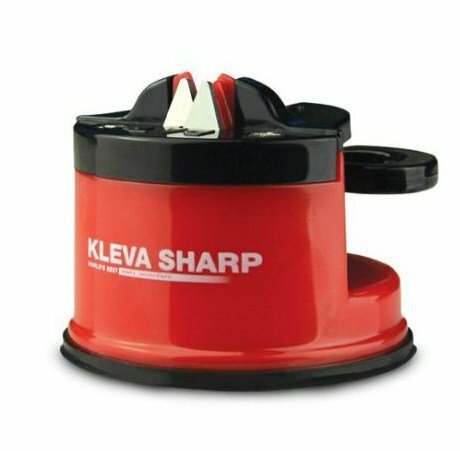 You can make a drawer full of blunt knives brand new again, with the original Kleva Sharp Knife Sharpener. 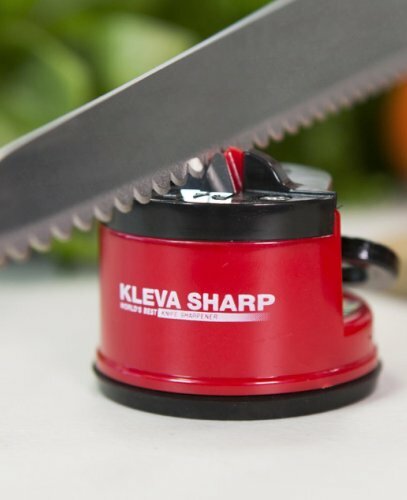 Kleva Sharp sharpens any knife with the ultimate precision, including paring knives, filleting knives, butter knives, even serrated edge blades. 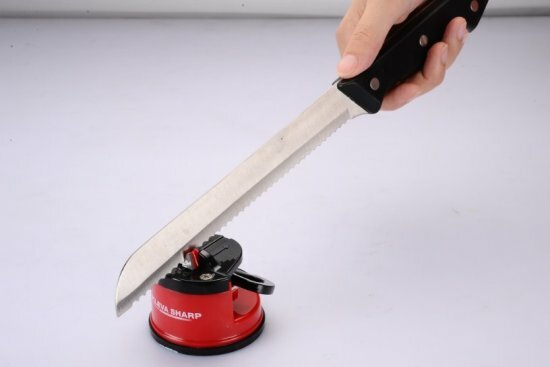 Sharpen all your knives including serrated edges, scissors, garden secateurs and sheers, even the end of the spade -the possibilities are endless. 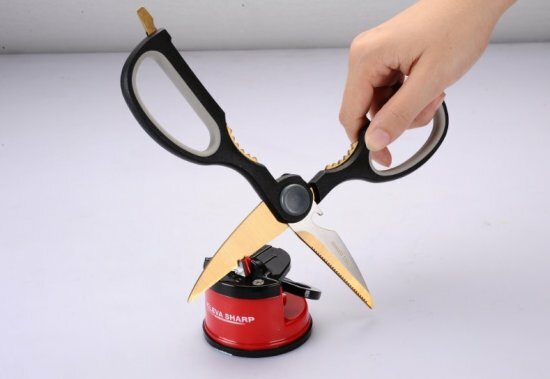 Note -for sharpening bevelled edges (scissors/sheers/etc) tilt the blade on a 20 degree angle to the left for maximum results. Kleva Sharp suctions to any clean, dry surface including tiles, benchtops, splashbacks, fridges and more and only requires one hand. 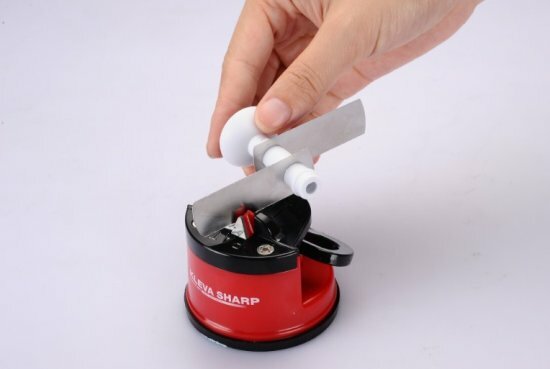 Forget sharpening the hard way and don’t spend hundreds of dollars on professionals, simply run your kitchen knife through your Kleva Sharp™ to make your old knife, sharper than the day you first bought it. The tungsten carbide technology removes the dull edge and makes it razor sharp. 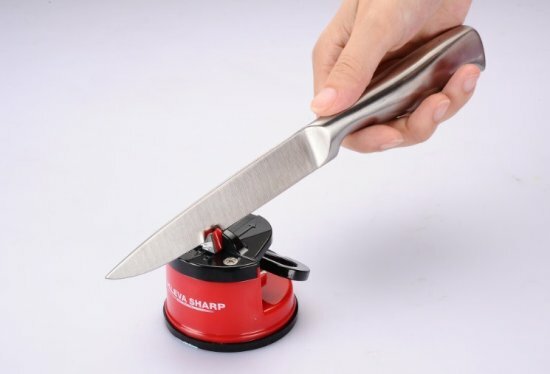 Use it whenever your knife goes dull or blunt to restore the edge. Also sharpens garden tools including shears, loppers, pruners and more.